"I have wide-ranging knowledge in the business and securities areas and a can-do attitude. Together these skills help me to understand my clients’ needs and to develop timely and cost-effective solutions." "This perspective is particularly valuable to my investment advisory client as this area is an evolving, highly regulated area of business and that needs the expertise on the business and regulatory fronts." His experience in securities disputes includes class actions, multi-district litigation, derivatives, listed and OTC, suitability, securities fraud, shareholder derivative litigation, proxy litigation, raiding, and underwriting disputes. 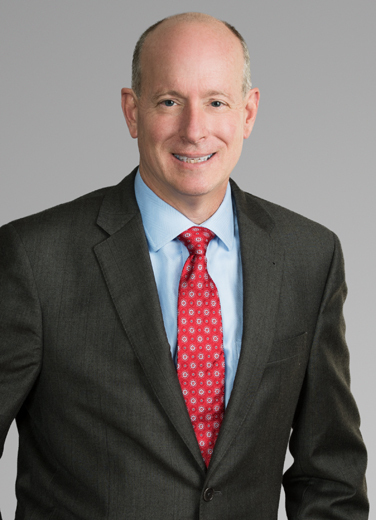 John also represents clients before the Financial Industry Regulatory Authority (FINRA) and the Securities and Exchange Commission (SEC) in administrative matters. Additionally, his significant litigation experience includes handling disputes on both sides of the docket associated with shareholder issues, officer and director liability, proxies, professional liability, breach of fiduciary duty, breach of employment agreements, employee theft and fraud, RICO, bankruptcy, collection and breach of contract disputes. John has litigated administrative, civil and criminal cases at the trial and appellate levels and in arbitration, including cases with damages greater than $100 million. He is also a FINRA arbitrator and has served as an arbitrator on numerous occasions. John also has significant experience in organizing, coordinating, utilizing, and litigating e-discovery issues and he has worked on all major e-discovery platforms. Represented non-profit issuer in registration of $3 million offering with the State of Louisiana (2018). Drafted investment advisory agreements for regional bank’s broker-dealer and trust department (2017). Formed and registered investment adviser and drafted compliance manual and procedures, advisory agreements and related documentations (2017). Advised investment advisor in connection with proxy fight for public company, including preparation and negotiation of director appointment agreements and Williams Act filings (2015 and 2016). Represent religious issuer in registration and sale of securities (2011- present). Represented private equity group in $3.5 million debt and equity investment in oil field service company (2 rounds) (2014 and 2015). Represented a one-third shareholder in negotiation of sale of software company and ultimate multi-million dollar buyout of the shareholder’s interest by other two shareholders (2009). Prepared professional service and public-private partnership agreement for a software company, including licensing, confidentiality and escrow agreements, in connection with a multi-million project in California (2009). Represented a broker-dealer who served as dealer-manager in a tender offer/exchange of convertible notes (2009). Represented corporate officer in connection with SEC action and DOJ prosecution for insider trading. (2017). Represented national broker-dealer in raiding case resulting in favorable settlement (2017). Led team who represented investment advisor in proxy fight and related litigation that resulted in judgment in favor of client and ultimately in favorable settlement and appointment of a majority of the board of directors of the company and its sale (2015 and 2016). With other lawyers, defended international law firm in major securities case in Louisiana (2013-16). Defended investment advisor in SEC investigation and litigation including wrap and private equity programs (2016). Represented plaintiff in prosecution of fraud and breach of fiduciary duty claims against broker-dealer resulting in favorable settlement (2016). Represent employee of publicly traded company in DOJ and SEC insider trading investigation and prosecution (2016). With other attorney, represented publicly elected figure in criminal prosecution and investigation (2012). With other attorneys, secured a $34 million settlement on behalf of FDIC in a major director and officer case arising out of the failure of Westernbank Puerto Rico. FDIC v. Stipes (D.P.R. 2015). With other attorneys, handled a financial institution bond case for FDIC arising out of the failure of Westernbank Puerto Rico. W Holding v. Chartis, (D.P.R. 2012). Department of Justice to convict former CFO and with the SEC to sanction former CEO and CFO. Successfully negotiated multimillion dollar settlement with insurance carriers. Newpark Drilling Fluids, LLC v. Mid-South Services, Inc., 09-3534 (E.D. La. 2012). Represented oil field service company in investigating and prosecuting manager for fraud and defending claims for payment based on setoff. Manager took kickbacks in return for authorizing fraudulent invoices from labor contractor. Pursued RICO and civil fraud claims labor contractor and related companies under a single business enterprise theory. Worked closely with Department of Justice to prosecute manager and principals of labor contractor resulting in successful criminal prosecution for mail fraud and a civil settlement. United States v. Broussard, 11-299 (E.D. La. 2011). Successfully represented senior local official in responding to Department of Justice and grand jury investigation. Developed comprehensive database of transactions and witnesses. Client was not prosecuted, in a case where Department of Justice obtained four convictions of senior parish officials. Shell Offshore Inc. v. Courtney, 05-1956 (E.D. La. 2009). Represented major oil company in investigating and prosecuting senior manager for fraud. Utilized creative litigation strategy to file civil fraud and RICO claims against manager and co-conspirators while at the same time aiding federal criminal prosecution of manager. Manager took kickbacks from vendors, disguised his ownership of company vendors, and directed payments to himself through fraudulent companies for non-existent goods. Worked closely with Department of Justice attorneys on the criminal prosecution. Manager was successfully prosecuted for mail and tax fraud and client entered into integrated civil/criminal settlement, including criminal restitution, with former manager and associated vendors. Chairman, National Food and Beverage Foundation (2019-), Board member (2016-2018). New Orleans Area Habitat for Humanity - President, 1996 - 1998; Board of Directors, 1993 - 2001. "You're most likely to find me outdoors: biking, hiking, playing tennis or paddle boarding. Traveling is one of my favorite pastimes - recently Spain, Portugal, Greece, Turkey and France. I enjoy cooking, entertaining, sports (Pelicans, Saints, LSU) and live music."